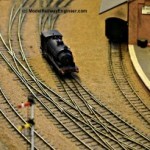 The best articles and blog posts I’ve read on model railways and trains over the last 7 days. Regular readers will know my current principal layout is based on GWR. 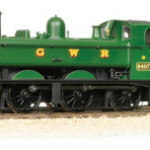 And there’s a lot of reference and source material on Great Western but www.gwr.org.uk is a treasure trove for Gods Own Railway model builders in particular – liveries, colours and insignia and more. On the subject of GWR, I’ve spent MUCH longer than I should this week browsing muchmeddling.com. 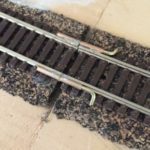 Much Meddling is a fictitious Great Western fine-scale model railway and this website does a fantastic job not just of showcasing it but explaining every aspect of the layout from its history to detailed construction notes – thanks Chris for producing a site that stole most of my week! I can’t say or do anything that does the work of John Allen justice. Just make yourself a cup of tea, find a comfortable seat and visit www.doug56.net/GD/ You won’t be disappointed. Okay so it’s not the biggest railway in the world but it’s still a huge railway, a work of love and there’s so much to like in this video about Bruce Zaccagnino Northlandz railway (pictured above) in America. The background and video is on Fast Co Create. 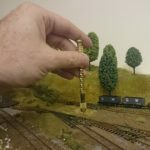 I’ve been thinking about using point rodding on my layout for a while and reading this page by Russ Elliott has both depressed and inspired me in equal measure. I can’t imagine ever coming close to producing something like this but the pictures sure make me want to try! howtoairbrush.com for some great tutorials on airbrushing. 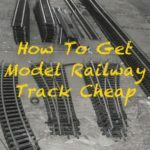 If you can still get it Model Rail’s Definitive Guide To Painting with George Dent also has some great tutorials. 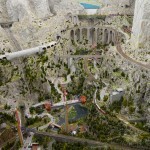 A lot of readers here share my love of Miniatur Wunderland, in Germany, which is frankly the most amazing model railway in the world but several of you have pointed out a Russian equivalent – Grand Maket Rossiya in Saint-Petersburg. It’s not quite Miniatur Wunderland but it isn’t far off. 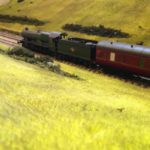 Please join in and share what you’ve been reading or any other model railway resources you’ve found useful this week with a comment below. 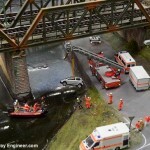 RT @modelrailwayeng: @Martijn_Welten have you seen Gorre & Daphetid, link to it at http://t.co/jLf0ka7ITj – one of my faves.